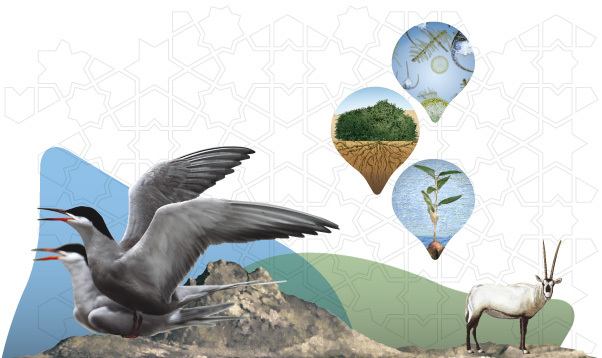 The Environmental Atlas of Abu Dhabi Emirate aims to embrace a wide constituency of readers in an innovative and compelling manner. 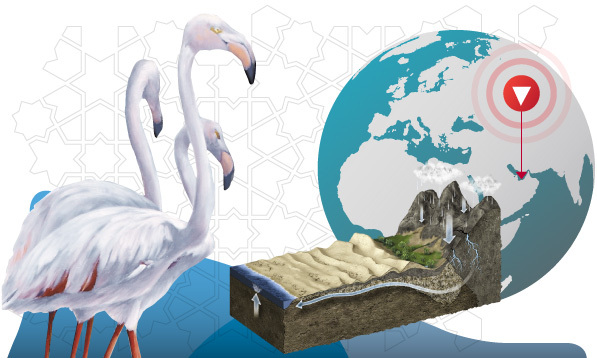 This Atlas presents information within a common story and narrative, interwoven with complementary stories, case studies, facts and statistics, illustrative figures, anecdotes, photographs, thematic maps and interactive modules that highlight the most significant environmental aspects of the Emirate. 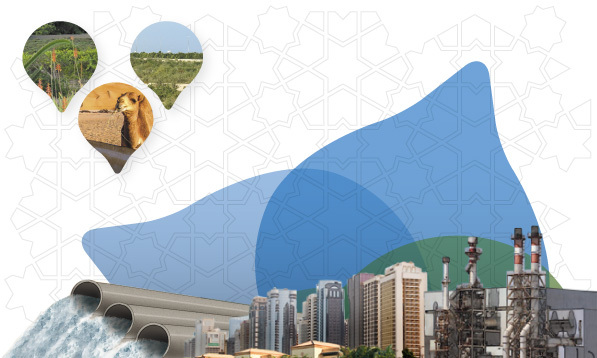 The Emirate of Abu Dhabi has abundant supplies of water. This may seem to be a bold statement to make, however, despite the fact that the Emirate receives very little rainfall and is largely a hyper-arid desert, it has by far the longest coastline in the UAE. 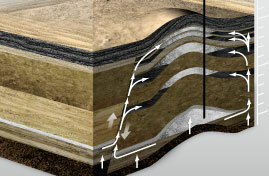 Aside from the plentiful water available in the Arabian Gulf, large deposits of underground water lie under the surface, which have taken millions of years to form. 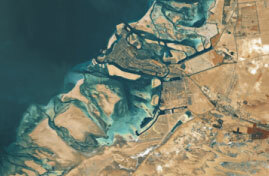 The transition from offshore waters to the highest inland summit provides a profile through the Emirate of Abu Dhabi of a series of diverse landscapes with unique habitats and ecosystems, both terrestrial and marine. Although quite distinct, they are interlinked through an intricate and complex web of life. This interconnected web includes a remarkable diversity of species of flora and fauna that have evolved in response to challenging environmental conditions. Throughout history, there has been a reciprocal relationship between mankind and the environment. 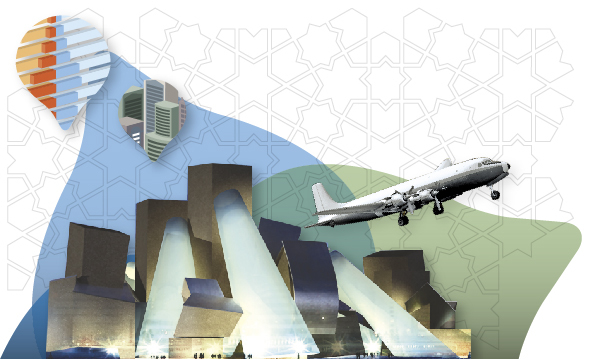 Abu Dhabi's astounding growth over recent decades has been largely due to the wealth that stems from the development of its natural resources, specifically its oil and gas sector, but this is not the whole story. 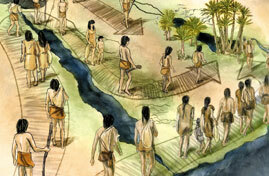 The Emirate's development evolved out of many factors, including its unique culture and society. As Abu Dhabi moves into the future, it will increasingly adopt a holistic approach incorporating both culture and the environment to ensure the creation of a confident, secure society. 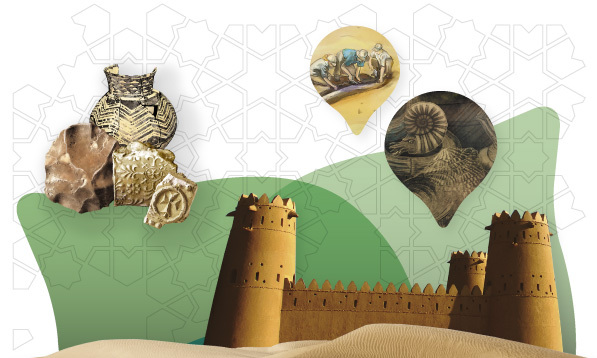 To gain a deeper appreciation for the development of human history and culture in the Emirate, it is important to examine the vast frame of geography and time in which it lies. As described in other chapters, the geography and environment of Abu Dhabi as seen today has evolved over hundreds of millions of years; enormous time spans that overwhelm human history. However distant this geological past may seem, it is intimately linked to the environment, which has in turn profoundly influenced the development of human history, culture and civilisations – and it still does so today.